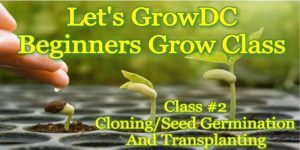 In this class we will be covering the most crucial points in detail on the first few stages of a plants life. We will be working on live plants, taking cuttings, transplanting rooted cuttings to larger containers, and you will get to take your work home with you! This is the followup class to the Introductory Basic Concepts and Requierments class.